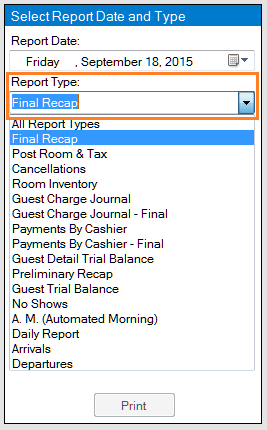 To view and print all reports printed during night audit, you can use ETReportviewer.exe This is especially helpful since some of the reports cannot be reprinted such as Final Post Room & Tax and Final Recap. 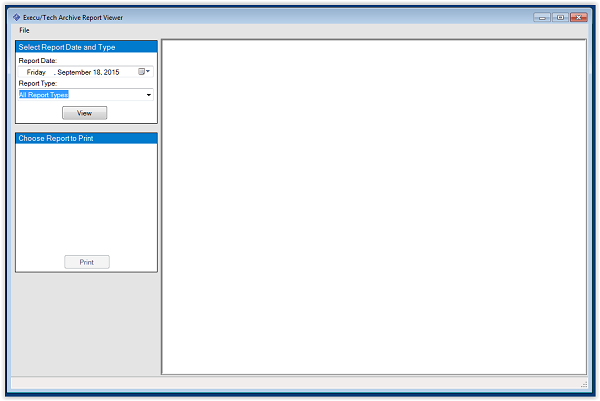 If you are on a relatively new version of Execu/Suite, you already have this program. It will be located in your ExecuTech hotel folder on your server, where your Execu/Tech programs and files are located. If you do not know the location, see Find Software Application Folder. 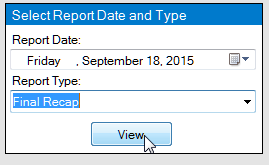 If you do not have ETReportviewer.exe, click HERE to download ETReportviewer.ZIP. Extract ETReportviewer.exe into your ExecuTech hotel folder. The program will not work properly from your desktop or anywhere outside its proper location. You can create a desktop shortcut on the server or a client workstation but the EXE must be in the ExecuTech hotel folder. This application is easy to run but here are instructions in case you have a question. 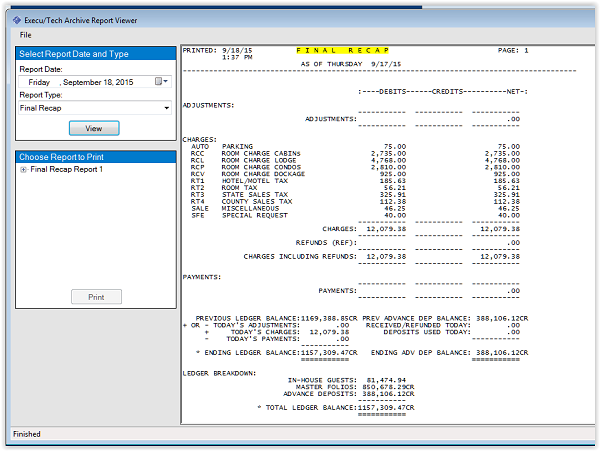 Launch the ETReportviewer.exe from the ExecuTech hotel folder, as shown below, or from a desktop shortcut. 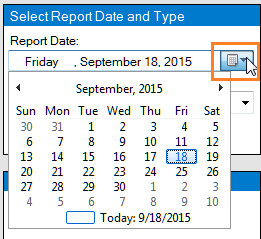 When the application opens, select a report date, select a report to print, and click View. 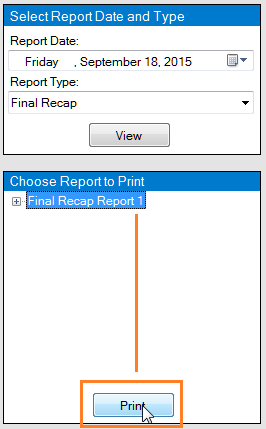 To print the report, click the report name to print, and click Print.